See what can happen when you follow your dreams! Maggie Steele is a gritty farm girl from tiny Grain Valley, Kansas, who pours her broken heart into the daring, dangerous sport of pole-vaulting. 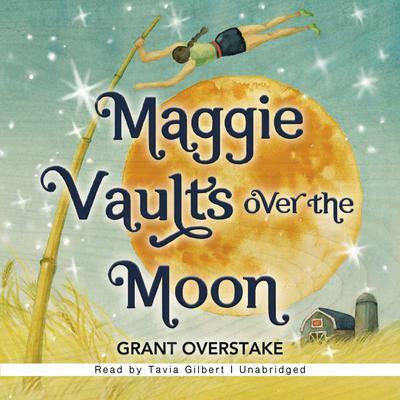 Driven by a secret she cannot share with anyone, Maggie finds herself on a quest to soar far higher than critics think a girl should ever go. Unflinching in its exploration of teenage grief and filled with brilliant descriptions of a breathtaking, beautiful sport, Maggie Vaults Over the Moon is a powerful and rewarding story for middle-grade readers and adults. A former Miami Herald sportswriter and newspaper editor, Grant Overstake competed in the decathlon for the University of Kansas Jayhawks. 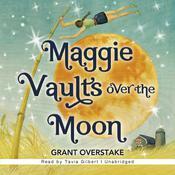 A multiple award winner for excellence in writing, Maggie Vaults Over the Moon is his first novel.